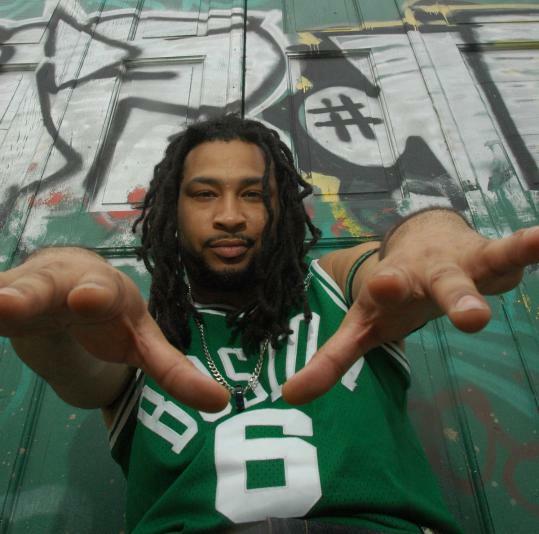 Under normal circumstances, tomorrow’s hip-hop show at the Middle East in Cambridge, featuring some of Boston’s top local talent — including Esoteric, Termanology, Slaine, Mr. Lif, D-Tension, and at least a half-dozen other artists — would be an event in itself. But these are not normal circumstances, and this is much more than another rap show. Just under a month later, Akrobatik (born Jared Bridgeman) is well on his way to full recovery. He’s out of the hospital and back home, walking on the beach in shorts on a sunny Monday afternoon and sounding upbeat and appreciative over the phone. His voice gives no indication of some of the lingering pain he’s still feeling, but it’s clear that the outpouring of public support from his peers and fans has been just as important as any medication in restoring his strength. On May 12, Akrobatik was at home in Boston when he suddenly felt disoriented. He was able to dial 911 before collapsing in front of his home by the time the ambulance reached him. Shortly after he was rushed to Mass. General, different versions of the story began popping up on the Internet and being recirculated through social media outlets, some contending that he was in a medically induced coma and others that he had undergone open-heart surgery, neither of which was accurate. Having survived a major health scare, Akrobatik’s first priority is recovery. His doctors are optimistic that by next summer he should be back to full health. He’s also eager to get back to work; by eerie coincidence, he had already begun working on his new album, prophetically titled “Built to Last,’’ which plays on a concept inspired by “The Six Million Dollar Man,’’ the 1970s TV series in which the title character of Steve Austin is “rebuilt’’ as a superhuman bionic man after suffering crippling injuries. Martín Caballero can be reached at caballeroglobe@gmail.com.